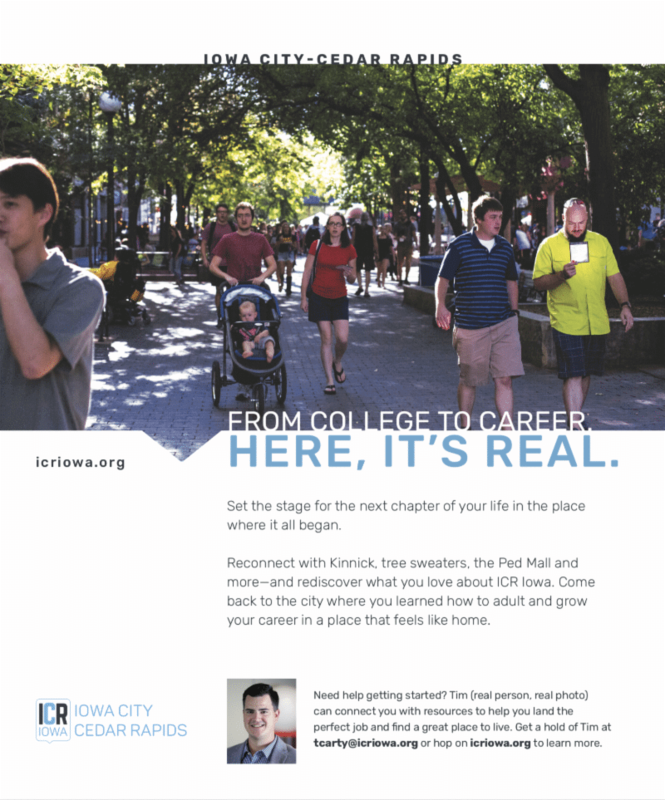 ICR IOWA will be partnering with the University of Iowa Center for Advancement beginning this fall to recruit alumni back to the region. The partnership will include participation in social events before each of the five Hawkeye away games, a digital ad campaign with Hawkeye Sports, and full page print ads and digital ads in the Iowa Alumni Magazine. Ads for the marketing campaign and events will be designed by de Novo Marketing, Benson & Hepker Design, and Nate Kaeding based on the new “Here, It’s Real” campaign that begins this fall.